Today is a busy day for no-no birthdays, with Bill Stoneman turning 72, Tom Phoebus turning 74 and Ed Lafitte (1866) born on this day. 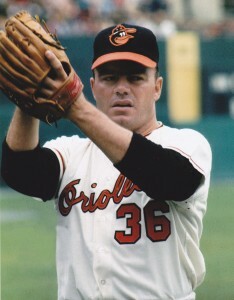 Phoebus a Baltimore native who turns 74 today, tossed a no-no for his hometown Orioles on Saturday, April 27, 1968 at Memorial Stadium. The O’s topped the Boston Red Sox in that game 6-0.